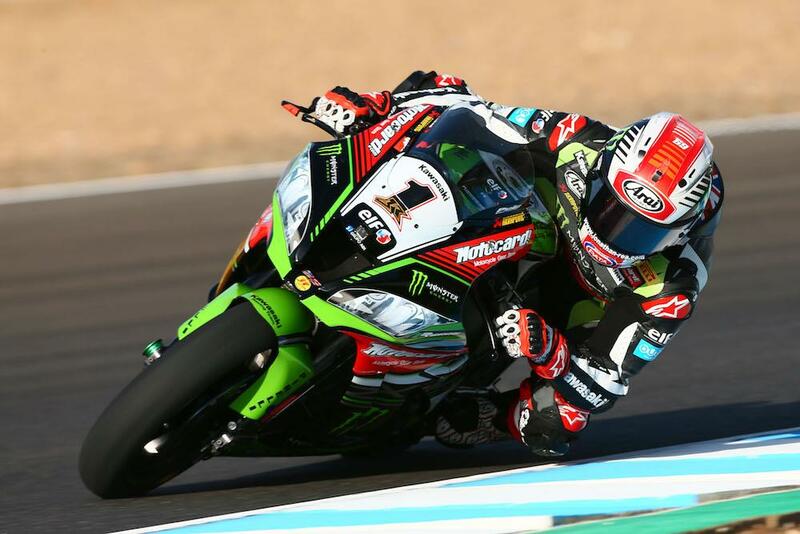 Jonathan Rea (Kawasaki Racing Team) relied on his morning lap time to outpace his nearest rival by 0.597 seconds on the opening day of action at Jerez, after falling just a few minutes into the FP2 session at Jerez this afternoon. He was largely unhurt and took to the track later in the day to go faster than any of his rivals could manage, but still not reach or beat his morning personal best time. Tom Sykes (Kawasaki Racing Team) was second fastest on Friday after setting his personal best time this afternoon, with the Pata Yamaha pairing of Michael van der Mark and Alex Lowes only fractions of a second behind the second KRT machine. Marco Melandri (Aruba.it Racing - Ducati) was fifth – although he also was to fall late in the second session, on a day when many of the leading lights would have some kind of off. Top vee-four riders was Eugene Laverty (Milwaukee Aprilia) in sixth place. BSB: Who's going where in 2018? From Sykes to Laverty, five riders were covered by only 0.008 seconds. Lorenzo Savadori (Milwaukee Aprilia) placed seventh today, local rider Roman Ramos (Team GOELEVEN Kawasaki) was eighth. 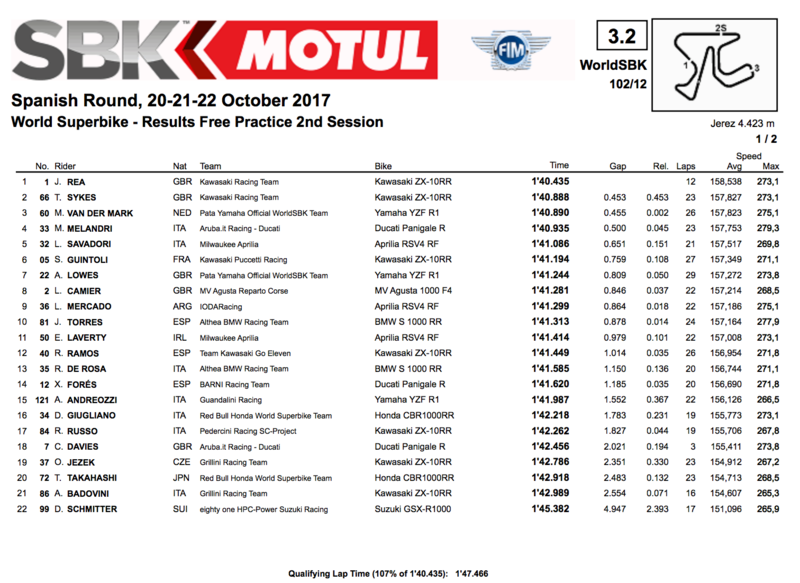 Two big names just made it onto Superpole 2 on Sunday after the two practice sessions today, with 2014 world champion Sylvain Guintoli (Kawasaki Puccetti Racing) ninth and crasher Chaz Davies (Aruba.it Racing - Ducati) tenth. Davies lost a lot of time in the pits and had to wait nervously as Leon Camier (MV Agusta Reparto Corse) just missed out on automatic SP2 qualification in 11th place, with Leandro Mercado (IodaRacing Team Aprilia) 12th.